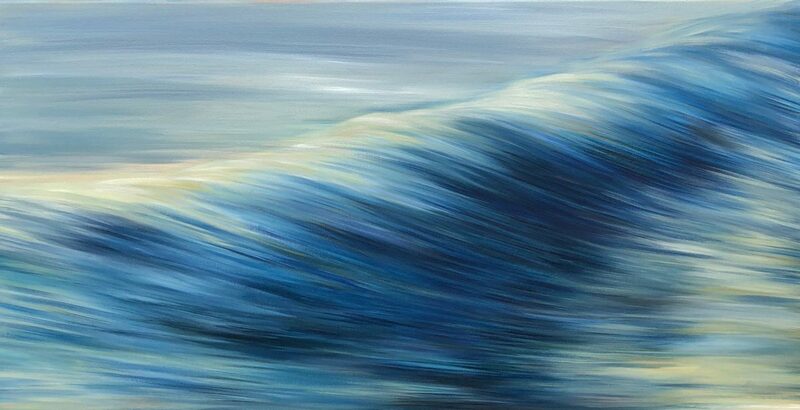 “Turquoise Seascape” Oil on canvas width 100cm x height 70 cm or 39 x 27.5inches. Signed and comes with a certificate of authenticity. The beaches of the South Devon coastline and Cornwall have inspired this painting. I love taking long walks there, a particular favourite is Perranporth beach in North Cornwall. “Turquoise Seascape” is available as a giclée print in various sizes on Hahnemüle Pearl paper. Click here for more details. I graduated with a BA (Hons) in Fine Art in 2008 at the University of Plymouth. I have exhibited my paintings throughout Devon and gained an award at the Exeter Short Film festival. My films and photographs have been exhibited on the South Bank, London and in Italy. I am a Teignmouth based artist.